Poultry is a favorite item to grill or barbeque, no matter the time of year. Chicken is popular in the summer months while turkey takes center stage at Thanksgiving time. Whenever you are choosing to serve up some bird, it is important to remember that without some precautions, you could end up with a dried out meal. There are simple ways to ensure juicy, moist, delicious meat. 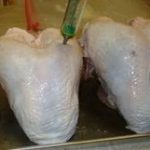 Brining and injecting are easy ways to prepare your poultry for any cooking method. Some chefs prefer one over the other while others try different combos every time. The temperatures are rising, and summer is quickly approaching. For me and my family, this means that barbecue season is upon us, and our grills and smokers will be utilized more and more. One of my favorite things to barbecue on a Saturday afternoon while the kids play in the backyard is ribs; one of my favorite methods to cook ribs is the 3-2-1 Method. 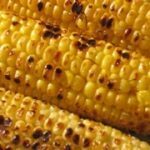 We have all been to a backyard barbecue where the aroma is to die for, but the finished product leaves less to be desired when you finally get to bite into it. For ribs, this often means that the meat is tough and dry. 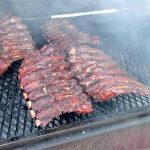 With the 3-2-1 Method for cooking ribs, you are almost guaranteed to produce tender, fall off the bone goodness. You will be heralded as the block’s grilling genius while everyone digs in to your masterpiece.